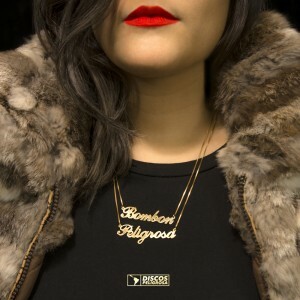 On August 21st, Discos Peligrosa releases a colorful compilation of original music from renowned Texas crews Peligrosa (austin) and Bombón (Houston); justly titled BOMBÓN X PELIGROSA. These original works are composed of traditional instrumentation produced using accordions, gaitas and spanish guitar mixed with modern production techniques utilizing vocoders, synths and 808s. Bombón and Peligrosa connect the dots between the old world and the new, further solidifying their already prominent presence. Peligrosa’s “Santa Marta” offers a chanting dissonance of gaitas as the syncopation of the marimba pushes forward and leans back in a lackadaisical manner. “Me Gusta” recapitulates an often shared sentiment among the two crews while “Moviemento” includes a languid incantation from discos peligrosa veteran Kiko Villamizar. Bombón’s selections play off the diverse, vibrant sounds you’ll hear only in Houston (aka Screwston). 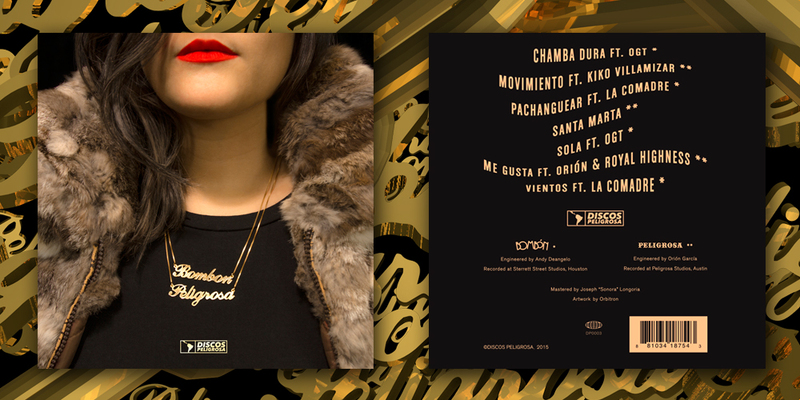 From the working class struggles described in “Chamba Dura,” the weekend party vibes emanating from ” Pachanguear” and “Sola” and the tranquil 3am drive with “Vientos,” Bombón offers up a view into a day-in-the-life of most living in H-Town.